After a previous bidding failure, the re-bidding of the Philippine Marine Corps' Amphibious Assault Vehicle acquisition program has again started, with the bid submission scheduled last May 15, 2014. The Approved Budget for the Contract (ABC) was Php 2.5 billion for 8 brand new units, including Integrated Logistics Support. Delivery of the vehicles will be 910 days (2 years & 6 months) from opening of Letter of Credit. As expected by MaxDefense, only 1 entity submitted a bid for the project, South Korea's Samsung Techwin, which produces the KAAV, which is their version of BAE System's AAV7 amphibious assault vehicle (which is reportedly out of production). Their submitted bid is around Php 2.42 billion, around Php 76 million lower than the ABC. On the previous bidding for the same project, Samsung Techwin was the only one that bought the bid documents, but did not submit a bid due to technical issues on the specifications and costs. Post-qualifications will follow, which will be done in South Korea by DND and PN/PMC personnel. 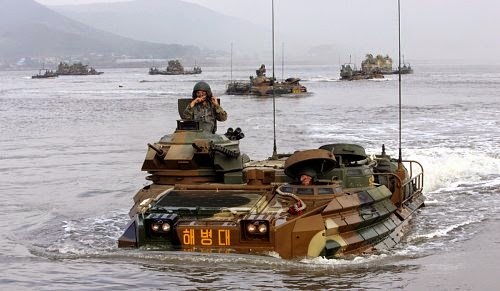 Samsung Techwin's KAAV7A1 amphibious assault vehicle. Based on the Technical Specifications provided by the DND, it appears to be patterned after the American AAV7 amphibious assault vehicle, down from the performance specs, weapons and components, carrying capacity, and even the parts included in the deal. This definitely puts other offers from other manufacturers out of the race, leaving only Samsung Techwin and BAE Systems as possible bidders. - comes with camouflage net, search lights, periscope, and other essential items. Aside from these, the deal also includes training ammunition, integrated logistics support package, and training for PMC crew and support teams. Basic information on the KAAV7A1. There might be changes on the radio and intercom system depending on the requirement of the Philippine Marine Corps. The Amphibious Assault Vehicle (AAV) acquisition project was meant to provide the Philippine Marine Corps (PMC) with an armored vehicle capable of bringing in troops from the amphibious vessels to the landing beach and beyond, while providing fire support when needed. It is actually the PMC's direct replacement for its once large but now diminished fleet of older LVTP-5 and LVTH-6 amphibious assault vehicles. The PMC has long been looking for a replacement of its old amphibious vehicle assets since these were decommissioned in the 1990s due to spare parts issues. It was reported in the past that the Philippine military received LVTP-7s (previous designation of the US AAV7) from the US decades ago, like the one made by the Federal Research Service for its Country Studies wherein they reported the PMC having 55 units, but this did not materialize due to financial issues and probably US arms control concerns. 4 AAVs are planned to be carried by each of the upcoming Strategic Sealift Vessel (SSV, aka Landing Platform Dock LPD), 2 of which were already ordered from an Indonesian shipyard. Each AAV has 3 crew members, and is capable of bringing in 21 fully equipped troops, or cargo & supplies. The KAAV operating during an amphibious operation. 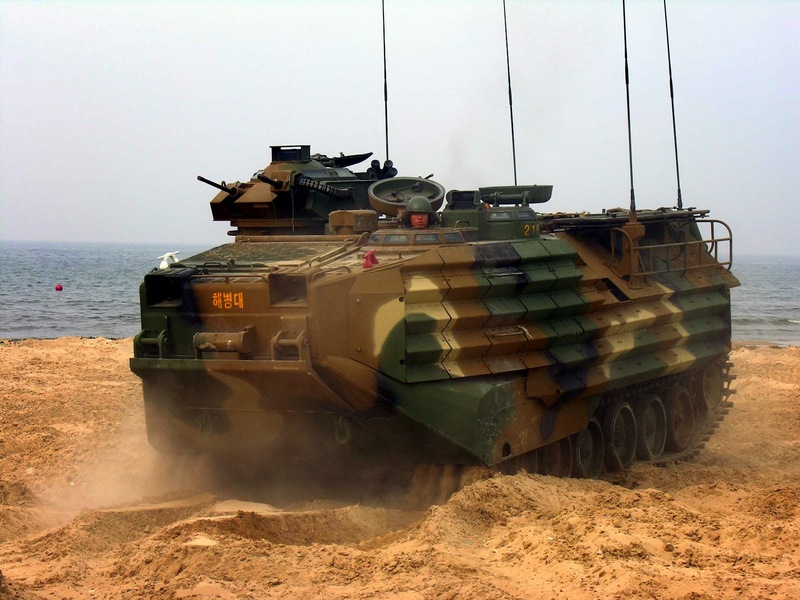 The AAV are expected to be used during amphibious operations from landing ships, in a similar fashion as the United States Marine Corps and other friendly Marine units in Asia like Thailand and Indonesia. Yearly exercises between the Philippine and US Marine Corps unit have enabled PMC troops and armored vehicle crews to work with USMC AAV7A1, and the PMC has gained familiarity with the capabilities of the vehicles and usage in combat. The availability of such assets with the PMC would enable them to improve their inter-operability with US forces, and the PMC is expected to gain a lot of training experience with the vehicles as the recently signed Expanded Defense Cooperation Agreement (EDCA) gains actual foothold. Philippine Marine Corps armored vehicle crew members man of the USMC's AAV7 amphibious assault vehicle during a Balikatan Exercises several years ago. a. Delivery date for the goods, wherein Samsung Techwin requested to extend to 910 days upon opening of Letter of Credit. This was revised by the DND and is now according to Samsung Techwin's request. b. Communications equipment was requested by Samsung Techwin to be Buyer Furnished Equipment, meaning supplied by the DND separately, or that the DND consider using the Korean-made VRC-947K made by LIG Nex1. Previously the DND insisted on being supplied with an on-board communications system inter-operable with existing AFP radios for secured and non-secured channels. It appears that Samsung Techwin will go for Harris radios, and due to the extension of delivery time, they can now do the integration as previously requested. c. It also appears that the DND was requesting for 2 units to act as Command Vehicles, with additional 2 base communication systems compared to the other units. Samsung Techwin requested for compromise on this, as they believed that Command Vehicle variants may affect the fire support and troop carrying capability of the AAV based on US and Korean versions where there are no turrets and have less troop carrying space to accommodate the extra communications items. d. Warranty was requested by DND to be 2 years, while Samsung Techwin can only cover 1 year. This is because the components in the vehicles are also only covered for 1 year by Samsung Techwin's suppliers, and extension of the warrantly may increase the cost of the entire project. Aside from the above, Samsung Techwin revealed to media sources their concerns, reiterating their incapability to comply to the warranty requirement and cost implications on the additional base radio requirements. 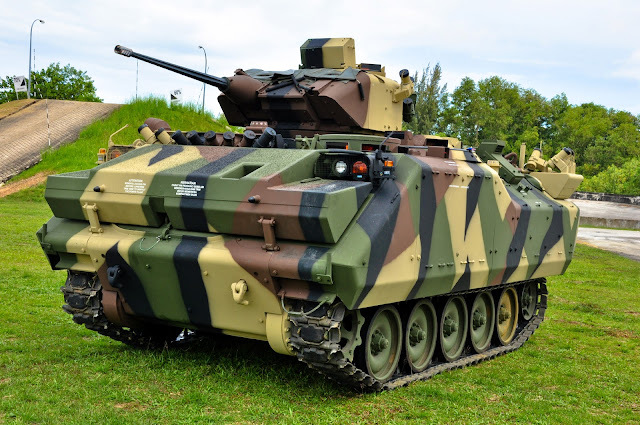 Due to the requirements of the Philippine Navy to have more SSV/LPD in the near future, it is expected that the PMC will request for additional AAVs as well. This is to eventually retire the remaining LVTH-6 in the PMC's inventory, as well as improve its amphibious operations capability. The PMC's current armored assets, the V-150 and the V-300, are incapable of the amphibious capability of the KAAV7A1, and will be relegated more to ground operations which do not need the amphibious capabilities, similar to how they are being used today. MaxDefense believes that the PMC must also try to obtain support vehicles of the KAAV series in the future if it wishes to expand its AAV fleet, including the armored recovery vehicle version. The PMC must also look to improve its maintenance, repair, and support capability, including adequate shelter and facilities for the vehicles when not deployed on ships. Currently the main support facility for armored vehicles is located at Fort Bonifacio in Taguig, but due to the impending reduction of military bases inside Metro Manila, it is best for the PMC to create a new armored vehicle support facility on one of its major bases outside Metro Manila. 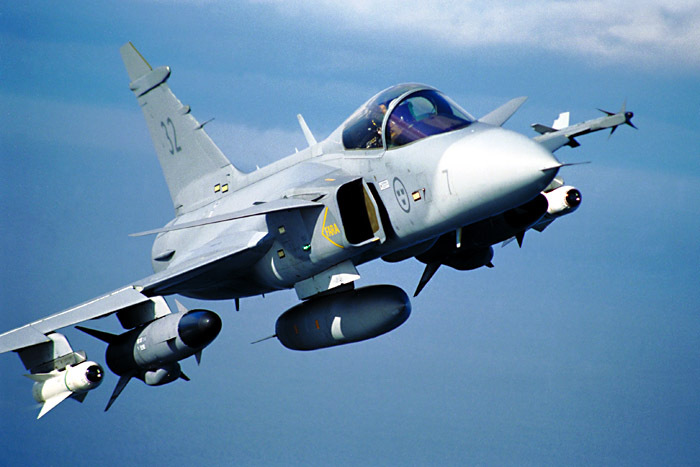 If this deal pushes through, this would be the 2nd major arms export by South Korea to the Philippines within this year, after the Philippine Air Force's acquisition of the KAI FA-50 Fighting Eagle jets. 2 of the few remaining serviceable LVTH-6 with the Philippine Marines. More KAAV may allow the PMC to totally drop the LVTH-6 from active service. Sir Max, aren't we sacrificing performance by downgrading some specs from American AAV7? or the AFP just really want the KAAV7A1? There's no downgrade. The KAAV7A1 has almost similar performance as the BAE AAV7A1. The problem is that BAE has ceased to produce the AAV7, while Samsung Techwin is currently the only licensed manufacturer of the vehicle, and they still produce the vehicle. oh i see. so the real problem is the delivery date? In the 1st bidding attempt, the delivery date was previously 2 years from date of opening of letter of credit for the 1st batch. Samsung Techwin clarified before that they may not be able to do that especially with the modifications on the comms system requested by the DND. these are offensive assets. is the government now considering the possibility that china may invade pagasa soon and thus we need to have vehicles that can take it back? No they will not invade, If you analyze carefully they don't want any of the Island. They just want what is under the Sea. Just like what happened to the Vietnam lately. You see if they initialize an invasion they would be seen as the oppressor rather than the oppressed. They whole world will come on top of them if they do that. They are just toying us, Teasing us to make the First Move. Sir max, why don't we opt to buy refurbished ones in order to increase the number? To answer your question, New Units + Less maintenance=Less Cost. Refurbished Units+More Maintenance=Costly. Good day sir, The LVTH 6 seems to be better armed (AS IN 105mm vs 40mm) than the current procurement equivalent to it, how come our armed forces did not consider looking for a more identical version when it comes to firepower? (Unless the PMC plans to procure a MBT to support it. (like the M60 of the US Marines). Next I know the Marines is known to land on beaches traditionally, but the warfare of today no longer demand such application. Its been more than 60 years already since the USMC made an actual combat beach landing on a massive scale (Incheon, Korea), why are they still going through such "almost obsolete" military strategy? I myself have not heard any PMC combat history wherein they stormed the beach head against internal or external threat. An amphibious landing will always be the front line method of attack especially since we have island disputes. God-forbid if we just might enter a war for the Spratlys then a beachhead landing would be required. Marines can do the job and tracked amphibious landing vehicles can carry them to safety with a small cannon and grenade for fire support. Hopefully frigates would be available by that time and would provide fire support to their landing. South Korea the only country ..... avv7-a1 last! Replace armor Israel ~! Harder than the USA. Philippines to buy a new armored assault landing please. Congratulations on the purchase of military armored vehicles Maniac Korea Philippines. in terms of fire support, it gets a bit tricky. The LAV300 can wade 3kmh on water while the AAV does 4 times the speed of the lav300. Will wheeled vehicles averaging 8-10kmh on water cut the marines' doctrinal requirement? If yes, then we have options out there. If not, then should we go for an armed air arm for the marines? since we will have SSVs that has 10ton limit helidecks. The LAV-300 is no longer offered for sales. We need it fast since Rainy season in coming. We might want to consider this, Tata Motors Kestrel Amphibious Vehicle. Actually allen, there are a number of models out in the market that could fill some basic requirements if we use the LAV300 as a baseline. What could be substantial would be how many wheels, main gun (90mm) and speed on water. I think even used vehicles are viable as long as its production is in the thousands as not to constrict us on parts. Lav 300 is it similar to the V-300? we could opt for the V-600's currently the next generation of V's offered by the US. 910 days? almost 3 years for 8 units? that's ridiculous.. We should consider other vehicles like the BTR 80-90., kaso Korea lang naman ang sumali sa bidding.. The requirement calls for something like the AAV7, although it's still worth looking if future requirements of the PMC may look at something like the Ukrainian BTR-3. Yeah I know they can manufacture their own BTR's. We could also look at India, the Tata Motors Kestrel,.. When purchasing light frigate ? in the end its all go down to price tag which you forget to state. For me I truly support this because Philippines has many island and most of them are inaccessible. I wish they could purchase more of this. I've been following your blog and I would like to thank you for the informative analysis and updates regarding our AFP modernization. Anyway its been a while I've been keep thinking that our AFP leaders some how has a confidential procurement that need not to be release the details in public. I do believe that they are not stupid enough to let the sensitive information to go out to public for national security purposes. therefore I believe that PH somehow already has or already procure assets like shore based missile or something. Do we have the possibility of entering as partnerships with other defense manufacturing companies specially from Europeans Defense Manufacturers? 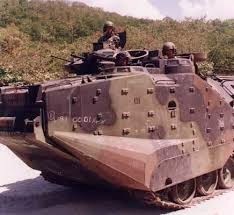 Since PMC are looking for more amphibious wheeled or tracked vehicles we have to be self reliant, we can use the SUBIC facilities then as the one used for the site for our indigenous SIMBA design armored vehicles like for cheaper av6-8 by fnss pars or ukraine btr90 with bmp3 turrets or cage cadillac v600...these are the most suitable armoured vehicles for our terrain archipelago. Good day to you. Sorry to divert away from the KAAV7 but just want to know if you have any info on what CASA-EADS could be offering for our CAS or OV-10 replacement program. interest in bidding for the DND's P4.9-billion close air support aircraft acquisition project , also bought bid documents for the patrol aircraft project." Are they offering us the PZL-130 Orlik or did they repackage their offer of CASA C-101 Aviojet that was a competitor of the S-211 back in the 90's? CASA-EADS/AIRBUS surely did not figure in most minds as a company with something to offer for our CAS/OV-10 replacement program. Hi!!! Sir Max! With the acquisition of 8 B-New KAAV-7. Does the PMC will retire the LVTH-6? i mean this vehicle has 105mm howitzer.. i know its old. but are they looking for replacement with the same firepower.. like Indonesian BMP-3? Being "interested" may have several meanings. Lets take this example: you go to a Toyota display booth at a mall and look at the new 86. The salesman may think that you are interested in it even if you just looked around it. The Eurosatory is a land weapons system sales exhibition and the Philippines sent its representatives to take a look. It may be possible that the delegation went to the BMP-3 booth to take a look and ask some questions, but the Russian salesman assumed immediately that the PH is interested in the BMP-3. I am not saying that this is impossible, but the Russians have been like this before, like in the case of the Yak-130. 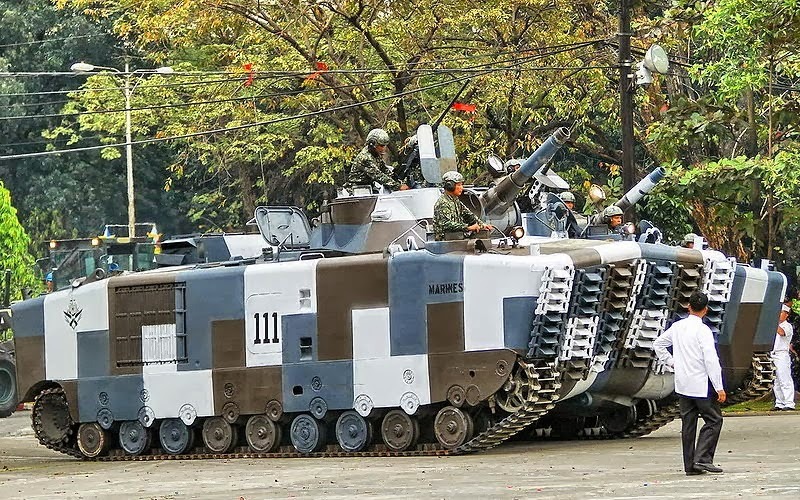 If the PH was really interested in the BMP-3F, my opinion is that it would be best used by the PMC as a heavier weapons platform to support the upcoming KAAV in Marine operations in a similar way the Indonesians use their BMP-3F and AAV7s. max i have source a from dnd that they are actually looking for fire support vehicle to complement the KAAV 7 and their choices would be , BTR 3E or BMP3F. But they prefferred the tracked vehicle which is the BMP 3F because of its lethal weapons and its amphibious capable. And yes your right max their are following the indonesian marines standard of amphibious operations since they acquire the SSV also known as the MAKASSAR class. As of now lets wait for the dnd to announce the BMP3F acquisition. Ok Thanks so much SIR MAX..